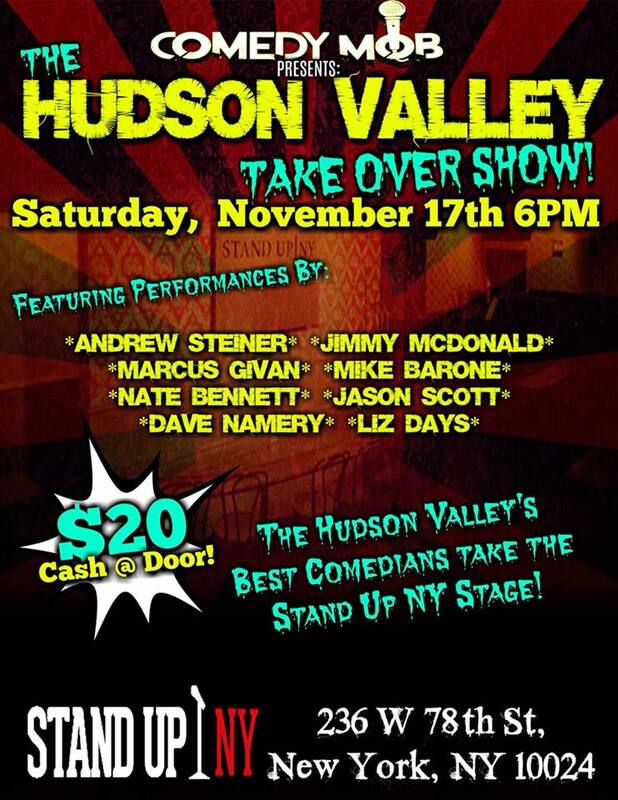 Comedy Mob Presents: The Hudson Valley Take Over Show! Featuring Andrew Steiner, Jimmy McDonald, Marucs Givan, Mike Barone & Many More! Presented By The Comedy Mob Every Saturday at 6PM.